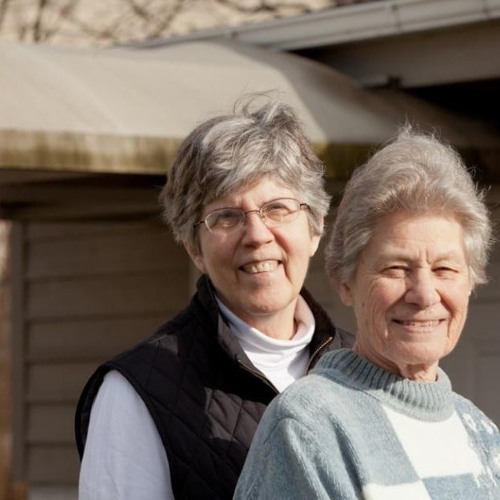 Adreth Platte and Carol Gilbert have worked with the ploughshares movement to promote peace and oppose war, particularly nuclear arms. Both women are convicted felons, who have spent years in prison for their activism. Host Cindy Kamp speaks with sisters Ardeth Platte and Carol Gilbert, Roman Catholic Dominican sisters from Grand Rapids. The sisters have worked with the ploughshares movement to promote peace and oppose war, particularly nuclear arms. Both women are convicted felons, who have spent years in prison for their activism. The movie 'Conviction' depicts their actions to break into a US missile silo in Colorado to inspect, expose, and symbolically disarm the Minuteman missiles stored there.